Fears that Turkey could become a global pariah may be unfounded as foreign countries discover that hosting Turkey’s President Recep Tayyip Erdoğan is a mutually fulfilling endeavour. During Erdoğan’s visit to France, Hürriyet reported that Turkish Airlines would buy 25 Airbus A350 aircraft – which will nicely complement the order for 40 Boeing planes that the company made during Erdoğan’s September visit to the United States. 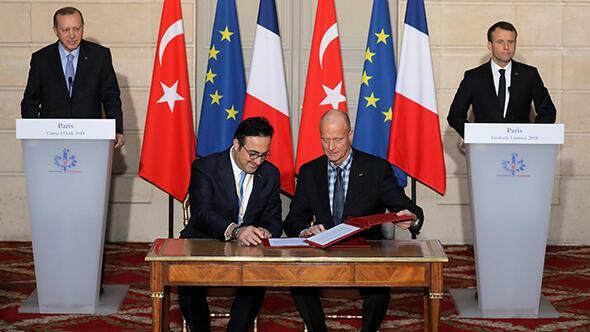 Plus, Turkey signed a deal to import 5,700 tonnes of French meat for his people, who are already enjoying the 5,000 tonnes Erdoğan ordered from Serbia during an October visit. There was criticism from the local press at the time of the latter, with some newspapers asking why halal meat was being imported from a non-Muslim-majority country and others linking it to imports of lentils from Canada and hay from Bulgaria as the unnecessary import of goods that Turkey could produce itself. Local producers were also concerned last week when Erdoğan visited Tunisia and signed a deal to import 3,000 tonnes of olive oil, of which Turkey is a significant producer. The critics were “ignorant”, Economy Minister Nihat Zeybekçi said. The imports were a mere “sign of goodwill” to the North African country, he added.